Graphic courtesy of author. For a larger version, please click here. Latin America’s reactions to the massive transnational scandals involving the Brazilian construction giant Odebrecht and its subsidiary Braskem are an important sign of progress in anticorruption efforts. But across the region, courts’ reluctance to challenge elites remains a major obstacle to deeper accountability. Brazilian, Swiss, and U.S. authorities’ announcement in December 2016 of a multibillion dollar global corruption settlement with the Brazilian firms – valued at $3.5 to 4.5 billion – was remarkable for being the largest in history. It was also shocking for its revelations: Odebrecht admitted using a variety of elaborate subterfuges to launder bribe payments and corrupt proceeds, including by setting up a bribe department and buying an offshore bank. Graft allowed executives to rewrite laws in their own favor, and guaranteed that the right officials were in the right place when public contracts were up for bidding. The firms netted $3.60 for every $1 they spent on bribes in Brazil, and admitted to paying $788 million in bribes across twelve countries, including ten in Latin America. The political salience of the charges is roughly similar in all ten Latin countries, muddying the reputations of presidents or former presidents in Argentina, Colombia, the Dominican Republic, Peru, Panama, Venezuela and, of course, Brazil. Ministers and high-level officials have been implicated in the remaining countries: Ecuador, Guatemala, and Mexico. Nearly one year after the settlement, it is time to ask how well law enforcement and judicial processes are resolving the allegations against these high-powered public and private sector elites. In a paper forthcoming in Daedalus, I argue that accountability can be thought of as the outcome of a basic equation – A = (T + O + S) * (E – D) – combining transparency (T), defined in its most essential sense as public access to information about the government’s work; oversight (O), meaning that government functions are susceptible to surveillance that gives public or private agents the right to intensively evaluate the government’s performance; and sanction (S), effectively punishing wrongdoing and establishing societal norms to their rightful place. These are tempered by institutional effectiveness (E) – understood as the outcome of state capacity, relevant laws and procedures, and citizen engagement – and political dominance (D), which diminishes the incentives for active oversight or energetic sanction. The graph above uses a combination of data points from the World Justice Project to measure each of the five variables. The comparison yields mixed findings. 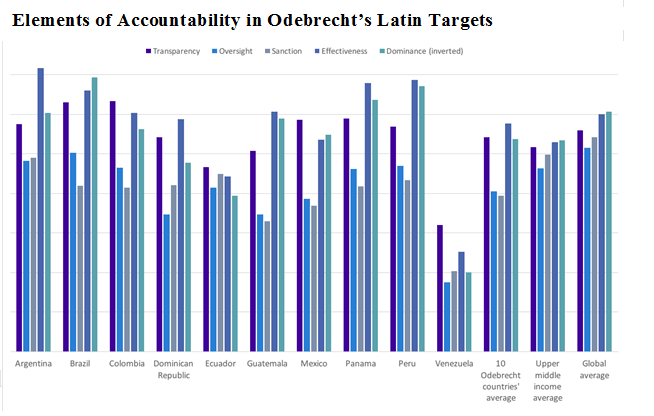 On average, the nations implicated in the Odebrecht settlement do quite well on transparency, effectiveness, and political dominance – the outcome of a generation of democratic rule (with Venezuela being the obvious outlier). But all ten countries perform comparatively poorly when it comes to oversight, and abysmally when the criterion is sanction. This does not bode well for accountability, especially if we consider that among the Odebrecht Latin Ten, the highest-scoring country on the sanction criteria is Argentina, whose score is still below the middle-income country average. In Brazil, where trial courts have led the way in imposing sanctions on business elites, political leaders are nonetheless protected against meaningful sanctions by an arcane system of privileged standing in the high courts. Latin American judicial systems – long rigged to protect local economic and political elites – remain the principal obstacle to accountability. The Odebrecht settlement signaled that a new day has arrived: new international norms and law enforcement across multiple jurisdictions are likely to continue to upset the cozy arrangements that have protected the region’s elites from corruption revelations for decades. But true accountability will only come when local courts and prosecutors are empowered to effectively punish corrupt elites. That implies changes in legal procedure, new laws, and most importantly, political will. Perhaps the Odebrecht case will galvanize domestic public opinion and mobilize policymakers about the need to improve local justice systems. The enormous costs of corruption revealed by the Odebrecht settlement suggest that change cannot come soon enough. U.S. regulations still technically ban tourist travel to Cuba by U.S. citizens, but the Obama Administration’s policies have already spurred significant growth in visitor arrivals to the island – with implications for Cuba and its Caribbean neighbors. Over the last year, Cuba has experienced a 17 percent increase in total visitors, and a 75 percent increase in arrivals from the United States since Washington expanded the categories of permitted travel and, according to observers, relaxed enforcement. An agreement to begin commercial airline operations between the two countries promises even more travel. Other elements of the embargo continue to complicate U.S. travel: most U.S.-issued credit cards still do not work on the island; phone and internet connections are limited; and visitors often face persistent shortages of food items, consumer goods, and hotel rooms. But the surge almost certainly will continue. While Cuba’s unique appeal may draw in millions of first-time visitors, the still relatively poor quality of service apparently discourages tourists from making the island a regular vacation spot. Sustaining arrivals requires higher marketing costs. Average spending per visitor, moreover, has been on a fairly steady decline since 2008. About 70 percent of Cuba’s tourists come for sun-and-beach tourism – a sector under state control – but private microenterprises have already demonstrated more agility in responding to demand than the state-owned hotels or joint ventures. The government reported last year that 8,000 rooms in casas particulares, or bed-and-breakfasts in Cubans’ homes, were for rent, and the number is growing steadily. Cuba’s “forbidden fruit” factor may have a limited shelf life as visitors sense the imminent end to Castroism and the arrival of McDonalds, Starbucks, and their ilk. Questions remain about how long Cuba’s current environmental protections will continue when tourist arrivals increase. Nicknamed the “Accidental Eden,” Cuba is the most biodiverse country in the Caribbean because of low population density and limited industrialization. But rising visitor arrivals (and the effects of climate change) are likely to increase beach erosion and biodiversity loss. Ministers of tourism in the other Caribbean countries have downplayed fears about competition from Cuba, but their optimism is sure to be tested. A successful Cuban tourism sector could conceivably spur region-wide increases in visitor arrivals, but it could also cause other Caribbean countries to lose significant market share. The official Communist Party newspaper, Granma, has suggested the government’s goal is to almost triple tourist arrivals to 10 million per year. President Danilo Medina of the Dominican Republic, the most visited country in the region (at about 5.5 million tourists a year), has also set a goal of reaching 10 million arrivals by 2022 – setting that country to go in head-to-head competition with Cuba. Jamaica, the third most visited country in the region, has instead pursued a multi-destination agreement with Cuba, designed to encourage island-hopping and capitalize on Cuba’s continued growth. Previous attempts at regional marketing and multi-destination initiatives have had mixed success. But as Cuba’s tourism sector continues to expand, Caribbean leaders – in what is already the most tourism-dependent region in the world – undoubtedly sense that Cuba is back in the game and could very well change rules under which this key industry has operated for the past six decades. *Emma Fawcett is a PhD candidate in International Relations at American University. Her doctoral thesis focuses on the political economy of tourism and development in four Caribbean case studies: Haiti, Dominican Republic, Cuba, and the Mexican Caribbean. How are the Americas Faring in an Era of Lower Oil Prices? Low oil prices have also knocked the wind out of Mexico’s heady plans to overhaul its petroleum sector by encouraging more domestic and foreign private-sector investment. In South America, the decline has undermined Rafael Correa’s popularity in Ecuador because the government has been forced to implement austerity measures. The Colombian state petroleum company, Ecopetrol, will likely have to declare a loss for 2015, the first time since the public trading of its shares began nine years ago. In Brazil, heavily indebted Petrobras has seen share prices plummet 90 percent since 2008, although that is as much the result of the company being at the center of a massive corruption scandal that has discredited the country’s political class. On the other hand, lower petroleum prices have benefitted net energy importers such as Chile, Costa Rica, Paraguay, and Uruguay. The one major oil producer in the Americas that has not cut back on production and new investment is Argentina – in part because consumers are subsidizing production and investment by the state petroleum firm YPF, which was renationalized in 2012 and now dominates domestic end sales of petroleum products. Prices at the pump remain well above real market values. While successive Argentine governments froze energy prices following the 2001-02 implosion of the Argentine economy, this time policy is keeping some energy prices high. This encourages conservation and efficiency and spurs greater use of renewable alternatives, but it becomes unsustainable during a prolonged dip because it will, among other things, make the country’s manufacturers uncompetitive. The Argentine example underscores that predictions of a pendulum shift in Latin America in favor of private-sector investment in the hydrocarbons sector over state oil production are still premature. The lower prices do not appear likely to harm the region’s continuing substitution of natural gas for coal and oil as a transitional fossil fuel to greener sources of energy. Natural gas prices remain at their lowest levels in over a decade, and the expansion of liquefied natural gas plants allows for easier transport of natural gas to markets around the world. They are also unlikely to dent the global shift to greater reliance on renewable energy resources driven by the international consensus that climate change can no longer be ignored and something must be done to address it. At the UN climate change talks in Paris last December, for example, countries agreed to keep temperature increases “well below” 2 degrees centigrade above pre-industrial levels and made a specific commitment “to pursue efforts” to achieve the much more ambitious target of limiting warming to no more than 1.5 degrees centigrade. The year 2015 was the second consecutive year in which energy-related carbon emissions remained flat in spite of 3 percent economic growth in both years. *The author is the President of San Francisco-based Mercosur Consulting Group, Ltd. He chaired the Western Hemisphere Area Studies program at the U.S. State Department’s Foreign Service Institute between July 2011 and November 2015. Tensions stemming from the Dominican Republic’s forced repatriation of Haitians are spilling over into other aspects of the traditionally problematic relations between the two countries, with little prospect of resolution. Over the summer, the Dominican Republic began a forced repatriation process for Haitians who did not comply with its 2014 National Plan for the Regularization of Foreigners. 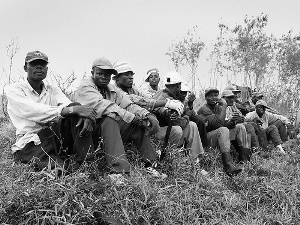 After a temporary suspension prompted by international outrage, deportations resumed on August 15 at a rate of 50 to 100 per day, and the International Organization for Migration reports that many more Haitians are “spontaneously returning.” Of the half million previously found to be without residency permits, about 288,000 people registered for the regularization process –180,000 of whom were rejected and are likely to be repatriated. According to Amnesty International, 27 percent of those who have left voluntarily say they were born in the Dominican Republic, but they fear arrest or harassment because they lack proper documentation. At least four camps filled with recent deportees have sprung up on the Haitian side of the border, and the United Nations Human Rights Council has warned that conditions are abysmal and sanitation facilities inadequate. The Haitian government has promised to assist in resettlement efforts, but there has been no coordinated response. 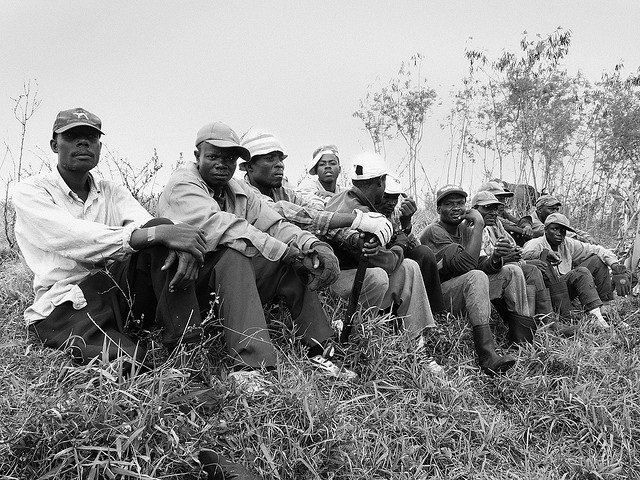 At the Tête à l’Eau camp, the government initially provided $30 in assistance to deportees, but ran out of funds. In retaliation, Haiti on October 1 began enforcing a ban on the overland importation of 23 Dominican goods, including wheat flour, cooking oil, and soap. These products must now enter by boat or plane to Port-au-Prince or Cap Haïtien. Smugglers found in violation of the new regulation will have their goods confiscated. Originally announced a year ago as a way of increasing customs revenue and reducing smuggling, the measure is expected to cause prices for staples to increase by up to 40 percent in Haiti and will cost the Dominican Republic $500 million in trade revenue. A Dominican Chamber of Commerce official noted that the measure “violates norms of free bilateral commerce and international agreements.” Market women who run much of Haiti’s informal economy by acquiring goods across the border and bringing them home to sell have already faced difficulties since the Dominican immigration crackdown began, and the trade ban poses a further threat to their livelihoods and those of their customers. The Association of Haitian Industry (ADIH) hopes that the measure will improve demand for domestic products. The Dominican government and businesses have argued that trade and migration issues should remain separate matters. The new, slower pace of deportations has allowed the Dominican government to continue with their original strategy while avoiding further media attention and threats to their tourism industry. Ongoing presidential campaigns in both countries – with Haiti’s elections on October 25 and Dominican President Medina seeking reelection next May – have made the antagonism politically useful for both. However, the heaviest costs, including deportations, resettlement in makeshift camps, and potentially dramatic increases in food prices, are, as usual, borne by Haiti’s poorest. A recent World Bank report on Haiti noted that “a social contract is missing between the State and its citizens,” and the Haitian government’s inability to provide for returnees and short-sighted trade policy is clear evidence of that. The international community – the OAS in particular – has made serious missteps in its efforts to encourage bilateral talks, including a call for dialogue by OAS Secretary General Luis Almagro that was misinterpreted as a call for the unification of Hispaniola. In response, the Dominican press has doubled down on its inflammatory rhetoric. Neither side sees advantage to ending the stalemate, at least until after the Haitian electoral process has concluded. The government of the Dominican Republic has not yet begun massive forced repatriations of the potentially 200,000 Haitians who have failed to comply with its “National Plan for Regularization of Foreigners,” but its plans to conduct sweeps for undocumented persons and put them in processing centers are already causing fear. Last Wednesday evening marked the ominous deadline for those without legal residency to register in a process that began following a 2013 Tribunal Constitucional decision that Haitian descendants born in the Dominican Republic after 1929 did not qualify for Dominican citizenship. 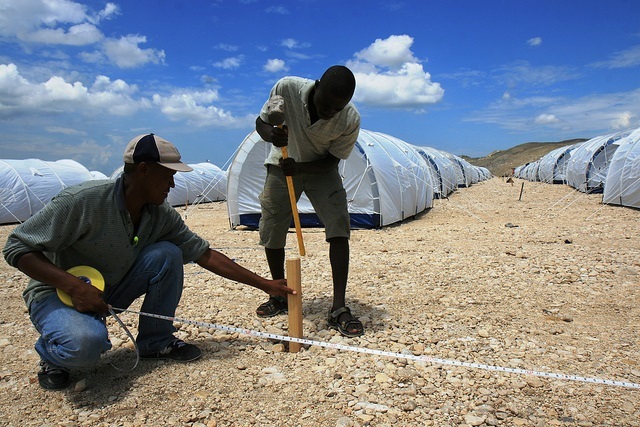 After a barrage of international outrage at the prospect that hundreds of thousands of Dominicans of Haitian descent risked statelessness, President Danilo Medina and the Dominican Congress took action to create a path to citizenship for some and offer regularized – but temporary – residency to those who can prove they lived in the country before October 2011. The Regularization Plan affects an estimated 524,000 people, including some 460,000 that a survey by the Ministry of the Economy in 2012 found were in the country without residency permits. An estimated 250,000 people have started registration processes, but local media report that only 10,000 of them have all the necessary documents – including Haitian passports that are slow and expensive to get – and only 300 have received their temporary residency permits. Applicants cannot be deported while their cases are evaluated, but there have already been reported instances of indiscriminate deportations. Long lines outside the Ministry of Interior – with waits of up to 15 days – have frustrated many who tried to register. Those who have already registered have been asked to carry their documentation at all times, to avoid difficulties with Police and Army patrols targeting Haitian neighborhoods armed with clubs and Tasers. Amnesty International and other observers have called on the government to respect human rights, but there is widespread fear that, once international attention diminishes, many thousands of Dominicans of Haitian descent will be forcibly deported. The fear is already driving hundreds of voluntary departures. Dominicans have relied on Haitian migrant labor for generations, and many of those without documentation were born in the Dominican Republic, speak only Spanish, and have no ties to Haiti. Pogroms against Haitian descendants are not unprecedented either – most infamously when Dominican dictator Rafael Trujillo in 1937 ordered attacks on Haitians living along the border, killing an estimated 35,000 in less than a week. Dominican officials appear committed to preventing such gross violations now and claim that their immigration policies are more forgiving than elsewhere in the region. While Haitian President Michel Martelly has said that the country “is ready to receive with dignity our sons, our brothers,” his government’s obvious inability to help the repatriates raises the prospect that a humanitarian crisis will result. In a nationwide address the night that the Regularization Plan registration expired, Dominican President Medina spoke of his intention to run for a second term, not about the wrenching experience some half-million persons in the country were about to face. Taking on Haitian immigration is a popular way for Dominican politicians to pander to the electorate, drumming up support from the working class and reminding voters that the country once suffered under Haitian rule, from 1822-1844. With the world watching, a Trujillo-era ethnic cleansing seems unlikely, but the fate of hundreds of thousands of Dominicans of Haitian descent hangs in the balance. 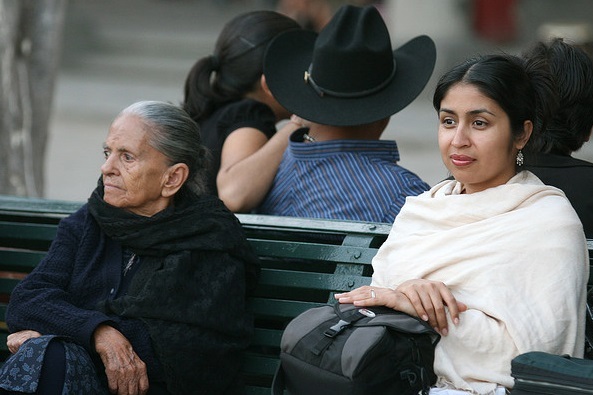 Recent pension reforms in Latin America show promise for greater gender equity across the region, but progress remains uneven in coverage and generosity. Since 2007, 13 countries have either introduced or expanded some form of non-contributory pension, offered to defined groups as a social right, while others have made reforms to their existing pension systems that specifically compensate for gender inequalities. These reforms in several instances were conceived with the participation of gender equity advocates. The introduction of non-contributory pensions has equalized pension coverage between women and men in the region, according to a comprehensive study by the Organización Iberoamericana de Seguridad Social. The equalization of men’s and women’s retirement age in the Dominican Republic, Mexico, and Uruguay makes it easier for women to attain the minimum number of working years for eligibility for a minimum pension. The use of gender-neutral mortality tables in Bolivia and a return to the state-run defined-benefit system that treats men and women equally in Argentina, are also improvements. More innovatively, in the 2007 expansion of the non-contributory pension in Bolivia and the 2008 reforms of the traditional pension systems in Chile and Uruguay, women were given credit toward their pensions for children born or adopted, to compensate for time out of the labor market. The need for such reforms is great globally and in Latin America. Women face much greater risks than men of poverty in old age due to workplace discrimination and gender imbalances in family carework responsibilities – the “motherhood wage gap” – during their working years. Women are employed in smaller numbers than men in the formal economy, and they are often concentrated in the lower-paid and less-stable informal sector. Domestic workers, primarily women, are in a sector notorious for employers’ evasion of pension payments. Women in Latin America are also more likely than men to be found among the ranks of the unemployed or partially employed. When employed full time in the formal sector, they face a diminishing but still substantial wage gap, earning 17 percent less on average than similarly educated men, according to the Inter-American Development Bank. While the original pay-as-you-go pension systems were based on a male-breadwinner model that envisioned women as “dependents,” the 1990s push toward pensions that relied entirely on individual earnings magnified the effects of these discriminatory employment contexts and carework imbalances. Moreover, in the individual capital account model, practices such as the use of differential mortality tables to determine monthly payments further reduced women’s income in old age, due to their greater expected longevity. Despite the progress toward greater gender equity in pension policy, the issue deserves wider attention because advances have been uneven. For example, while most countries in the region have adopted some form of non-contributory pensions, the percentage of the population eligible for these varies dramatically – as does the monthly payment. Moreover, while the gap in pension coverage between men and women has narrowed, the compensation levels remain dramatically unequal. Reforms, like those of Bolivia, Uruguay and Chile, that build-in compensation for market and carework inequalities deserve wider replication. *Dr. Ewig is Associate Professor of Gender and Women’s Studies and Political Science at the University of Wisconsin-Madison. She is the author of Second-Wave Neoliberalism: Gender, Race and Health Sector Reform in Peru. Criminality and violence often translate into fear and institutional distrust in Latin American contexts – and give rise to private security companies (PSCs) that play an increasingly important role in public security with little or no civilian oversight. In the Dominican Republic, for example, PSCs are proliferating as surveys indicate a widespread perception that the Ministry of Interior and Police (MIP) is woefully inadequate in scale and capabilities. According to a study by the Latin American Public Opinion Project (LAPOP) and the UNDP in 2012, over 50 percent of Dominicans said that they believed that the National Police was involved in criminal or illicit activity. More troublesome, of all countries surveyed*, the Dominican Republic, with 64.8 percent, reported the highest percentage of people who believe that security is deteriorating in the country. With such levels of public disorder and perceived police ineffectiveness, the Dominican Republic has experienced a boom in PSCs. The Geneva-based Small Arms Survey in 2011 reported that PSCs employed 30,000 people in the Dominican Republic – and the number has surely grown since then. The country has 29,357 formally registered police officers, yielding a ratio of 1.02 private security agents for each police officer. Often, PSCs are better equipped in the country than security forces. 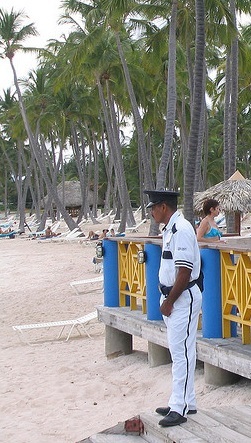 In the Dominican Republic, PSCs are under the jurisdiction of the Superintendence of Private Security (SPS), a branch of the armed forces – a fact that causes tension with the civilian companies and the police in whose jurisdiction they operate. This absence of the MIP – the state institution directly responsible for citizen security – from the oversight process has inhibited coordination between the PSCs and the police, and diminished the government’s ability to provide public security. The traditional definition of national defense in the Dominican Republic and other Latin America countries has included citizen security and entailed deep military involvement – and often abuses – in matters now considered best handled by civilians. The continuing shadow of the Dominican military in security affairs has weakened the National Police. President Danilo Medina last year deployed soldiers to patrol the streets alongside the police to combat crime. Such practices make the police less legitimate in the eyes of the public – and further drive popular demand for PSCs. Reforming the public security landscape in the Dominican Republic will require great political will. More effective civilian participation in security affairs, through oversight and professionalization of the National Police, must take place to ultimately strengthen democratic accountability. The PSCs should be brought under civilian control. *LAPOP-PNUD (2012). Countries surveyed: Argentina, Bolivia, Brasil, Chile, Colombia, Costa Rica, Ecuador, El Salvador, Guatemala, Honduras, México, Nicaragua, Panamá, Paraguay, Perú, República Dominicana, Uruguay, Venezuela. What does the New Year hold for Latin America? We’ve invited AULABLOG’s contributors to share with us a prediction or two for the new year in their areas of expertise. Here are their predictions. U.S.-Latin America relations will deteriorate further as there will be little movement in Washington on immigration reform, the pace of deportations, narcotics policy, weapons flows, or relations with Cuba. Steady progress toward consolidating the Trans-Pacific Partnership (TPP), however, will catalyze a shared economic agenda with market-oriented governments in Chile, Mexico, Peru and possibly Colombia, depending on how election-year politics affects that country’s trade stance. The energy sector will be at the core of the economic and political crises many countries in the Americas will confront in 2014. Argentina kicked off the New Year with massive blackouts and riots. Bolivia, the PetroCaribe nations, and potentially even poster child Chile are next. Unprecedented success of Mexico’s Peña Nieto passing structural reforms requiring constitutional amendments that eluded three previous administrations spanning 18 years, are encouraging for the country’s prospects of faster growth. 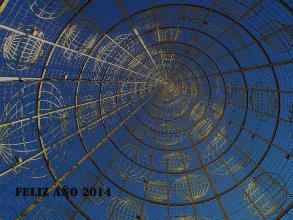 Key for 2014: quality and expediency of secondary implementing legislation and effectiveness in execution of the reforms. Mexico may be leading the way, at least in the short term, with exciting energy sector reforms, which if fully executed, could help bring Mexico’s oil industry into the 21st Century, even if this means discarding, at least partly, some of the rhetorical nationalism which made Mexico’s inefficient and romanticized parastatal oil company – Petróleos Mexicanos (PEMEX) – a symbol of Mexican national pride. Let’s see if some of the proceeds from the reforms and resulting production boosts can fortify ideals of the Mexican Revolution by generating more social programs to diminish inequality, and getting rid of the bloat and corruption at PEMEX. Brazil is without a doubt “the country of soccer,” as Brazilians like to say. If Brazil wins the world cup in June, Dilma will also have an easy win in the presidential elections. But if it loses, Dilma will have to deal with new protests and accusations of big spending to build soccer fields rather than improving education and health. Brazilian foreign policy is unlikely to undergo deep changes, although emphasis could shift in some areas. Brazil will insist on multilateral solutions – accepting, for example, the invitation to participate at a “five-plus-one” meeting on Syria. The WTO Doha Round will remain a priority. Foreign policy does not appear likely to be a core issue in the October general elections. If economic difficulties do not grow, Brazil will continue to upgrade its international role. In U.S.-Cuba relations, expect agreements on Coast Guard search and rescue, direct postal service, oil spill prevention, and – maybe – counternarcotics. Warming relations could set the stage for releasing Alan Gross (and others?) in exchange for the remaining Cuban Five (soon to be three). But normalizing relations is not in the cards until Washington exchanges its regime change policy for one of real coexistence. A handshake does not make for a détente. A decline in the flow of Venezuelan resources to Cuba will impact the island’s economy, but the blow will be cushioned by continued expansion of Brazilian investment and trade and deepened economic ties with countries outside the Americas. In a non-election year in Venezuela, President Maduro will begin to incrementally increase the cost of gasoline at the pump, currently the world’s lowest, and devalue the currency – but neither will solve deep economic troubles. Dialogue with the opposition, a new trend, will endure but experience fits and starts. The country will not experience a social explosion, and new faces will join Capriles to round out a more diverse opposition leadership. Barring a crisis requiring cooperation, tensions with the United States will remain high but commerce will be unaffected. Colombia’s negotiations with the FARC won’t be resolved by the May 2014 elections, which President Santos will win easily – most likely in the first round. There will be more interesting things going on in the legislative races. Former President Uribe will win a seat in the Senate. Other candidates in his party will win as well – probably not as many as he would like but enough for him to continue being a big headache for the Santos administration. Colombia’s economy will continue to improve, and the national football team will put up a good fight in the World Cup. Awareness of violence against women will keep increasing. Unfortunately, the criminalization of abortion or, in other words, forcing pregnancy on women, will still be treated by many policy makers and judges as an issue unrelated to gender violence. In the North American partnership, NAFTA’s anniversary offers a chance to reflect on the trilateral relationship – leaving behind the campaign rhetoric and looking forward. The leaders will hold a long-delayed summit and offer some small, but positive, measures on education and infrastructure. North America will be at the center of global trade negotiations. The debate over immigration reform in Washington will take on the component parts of the Senate’s comprehensive bill. Both parties could pat themselves on the back heading into the mid-term elections by working out a deal, most likely trading enhanced security measures for a more reasonable but still-imposing pathway to citizenship. The new government in Honduras will try to deepen neoliberal policies, but new political parties, such as LIBRE and PAC, will make the new Congress more deliberative. Low economic growth and deterioration in social conditions will present challenges to governability. In the northern tier of Central America, despite new incoming presidents in El Salvador and Honduras, impunity and corruption will remain unaddressed. Guatemala’s timid reform will be the tiny window of hope in the region. The United States will still appear clueless about the region’s growing governance crisis. Increased tension will continue in the Dominican Republic in the aftermath of the Constitutional Tribunal’s decision to retroactively strip Dominicans of Haitian descent of citizenship. The implementation of the ruling in 2014 through repatriation will be met with international pressure for the Dominican government to reverse the ruling. In counternarcotics policy, eyes will turn to Uruguay to see how the experiment with marijuana plays out. Unfortunately, it is too small an experiment to tell us anything. Instead, the focus will become the growing problem of drug consumption in the region. Eyeing a late-year general election and possible third term, Bolivian President Evo Morales will be in campaign mode throughout 2014. With no real challengers, Morales will win, but not in a landslide, as he fights with dissenting indigenous groups and trade unionists, a more divisive congress, the U.S., and Brazil. In Ecuador, with stable economic numbers throughout 2014, President Rafael Correa will be on the offensive with his “citizen revolution,” looking to solidify his political movement in local elections, continuing his war on the press, while promoting big new investments in hydroelectric power. Determined to expand Peru’s investment in extractive industries and maintain strong economic growth, President Ollanta Humalla will apply new pressure on opponents of proposed concessions, leading to fits and starts of violent conflict throughout 2014, with the president mostly getting his way. Nearly three months after the Dominican Republic stripped residents born to unauthorized migrants of their Dominican citizenship, the Constitutional Tribunal’s controversial decision remains the source of high tensions in the country. The ruling expanded on a 2010 amendment to the Constitution stating that children born in the Dominican Republic must have at least one parent with legal residency to be eligible for Dominican citizenship. The court has now determined that the ruling can be applied retroactively to 1929 – in effect leaving three generations of immigrants’ children in legal limbo. At an estimated 200,000, Dominicans of Haitian descent are the largest affected group. In recent years, they have already been denied identity documents, and officials have refused to return copies of their birth certificates, arguing that such births occurred while their parents were “in transit” and therefore did not meet the criteria for Dominican nationality. International criticism of the ruling was immediate. Many critics have called it racist. After visiting the Dominican Republic earlier this month, the Inter-American Commission on Human Rights (IACHR) released a highly critical report. The United Nations Higher Commission for Refugees (UNHCR) has also expressed concern that the court’s decision threatens to leave hundreds of thousands stateless. CARICOM has called on the Dominican Republic to “right this terrible wrong” and suspended its membership application. Caribbean leaders have expressed outrage. Trinidad and Tobago’s Prime Minister, Kamla Persad-Bissessar, said the ruling created a “grave humanitarian situation,” and the former prime minister of Antigua and Barbuda, Lester Bird, said the ruling was “so absolutely racist that it’s almost pathetic.” The United States has kept an extremely low profile on the issue.